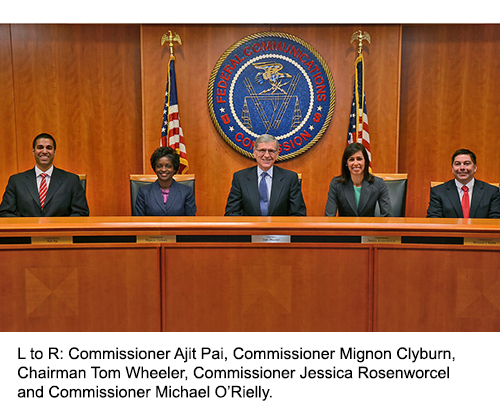 Recently, several TDS executives met with the commissioners and staff at the Federal Communications Commission (FCC). Their goal: to strongly advocate in favor of universal service reform for Rate of Return (RoR) carriers and lend their support for the proposed “Model-Based Approach.” The group highlighted how this model could positively impact Internet service for more than 150,000 rural customers. What does that mean in real English? TDS is called a RoR carrier (along with many, many, other companies) because we provide phone service to rural areas. Doing that is expensive because we have the same equipment costs as the big guys—or higher because of the distance to rural areas—but fewer customers to offset the costs of delivering that service. To make sure everyone has phone service, the FCC created the universal service fund. It makes delivering phone service to rural areas affordable for both companies and customers. Here’s the trouble though—the universal service fund doesn’t currently help offset the high costs of delivering broadband Internet service. That’s why TDS representatives have been a loud voice in Washington, advocating for new ways to use the universal service fund approach, and extend that idea to help deliver better Internet access. This new way is called the Model-Based Approach. It would enable the company to move fiber much closer to customers. The end result: a vastly improved user experience due to faster, more reliable Internet service. The FCC is expected to announce its decision this spring, but the conversation began back in 2011. That year, the FCC issued the “Transformation Order” which proposed changes to universal service for RoR companies. At that time, TDS began to develop a new approach to universal service, working with several telecom associations to which the company belongs. This eventually turned into the Model-Based Approach. If this model is indeed approved, and the FCC provides sufficient funding, we project we’ll be able to increase availability of high-speed Internet service—within five years—to customers in 25 states. Once fully networked and deployed, it’s estimated that more than 150,000 TDS customers could have access to higher Internet speeds, and a more robust user experience. The meetings with the FCC gave the commissioners a real-life example of how their decision would translate into a much improved broadband experience for a significant number of rural consumers. We hope this advocacy, on behalf of our customers, will serve as motivation for the Commission to make the right decision—and take action.